Please feel free to contact should you require any further information. The fee for the season is $475. for U13 thru U15. 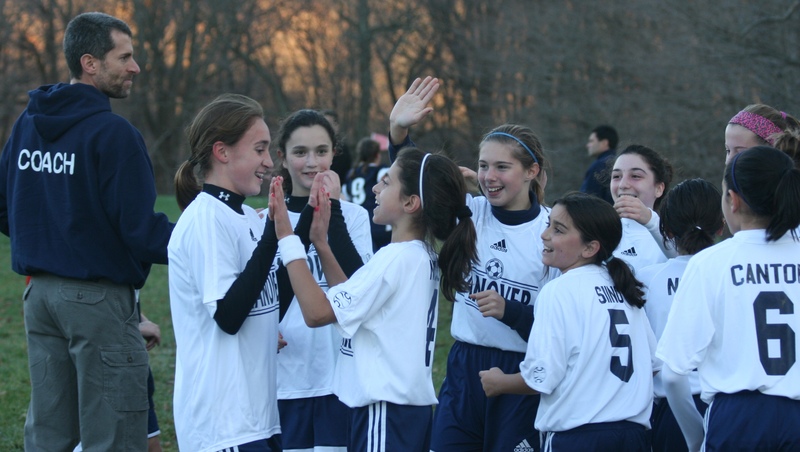 There is an additional $10.00 non-refundable tryout fee for U9 thru U13 totaling $475.00. The $475 fee is refundable should a player not be placed on a team or decides not to play prior to teams announced. Our travel program runs during the full school year with Fall & Spring sessions. The $475 fee includes 10 games per season, 20 total. There will be 5 home games all in Hanover & 5 away usually within Morris County on Sunday afternoons, again per season. Also, you receive 2 practices per week, one with a coach and one with a professional Red Bulls Trainer, plus 1 tournament. -There are usually 2, 1½ hour practices per week which includes a trainer session & games are on Sunday. -The actually practice days are at the coach’s discretion, and some coaches may hold 3 practices per week.